We know, you’re thinking, REALLY?! What’s to know? Lather, rinse, repeat. But consider the advancements since those standard instructions were printed on our shampoo bottles decades ago. New products, when used correctly, can really change the look and health of your hair. So, let’s revisit the basics and learn how to shampoo! It's important to know that the shampoo will likely not produce a lot of lather during this first step. The type of shampoo you use will determine the amount of lather that you achieve. Professional shampoo brands and sulfate free shampoo will lather less than drugstore brands, since they typically include more "bubble making" agents to create lather. Professional shampoos are more concentrated and allow you to use less. Drug store shampoos, which are more watered down, will require more product. 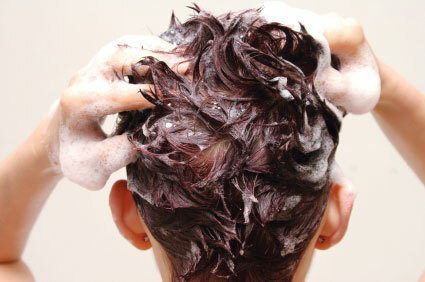 Before you apply any shampoo to your hair, make sure your strands are completely soaked with water. Use a medium water temperature that does not burn you. The idea is not to wash your hair, but rather to clean your scalp and remove the sebum (oil) and product that has accumulated since your last shampoo. Emulsify a quarter-sized amount of shampoo in your hands by rubbing the product between your palms. Apply the shampoo to your scalp using your fingertips and work the shampoo vigorously into your scalp for about 30 seconds. Make sure you work the shampoo into your entire scalp. Especially the back. A lot of people wash the tops of their heads, but neglect the back. Although rinsing your hair seems simple enough, the fact is that most people do not rinse properly, leaving hair with unwanted sebum, product build-up, and left over shampoo. 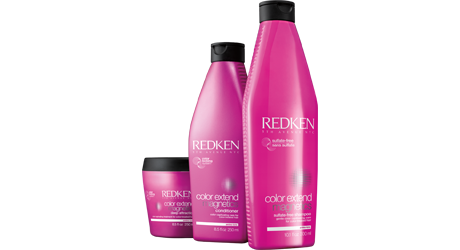 Rinse for approximately 30 seconds and work your fingertips through your scalp while rinsing. It's time to re-shampoo and rinse the remainder of your hair. Emulsify a minimal amount of shampoo in your hand. The amount you need depends on the length since you will now work into the scalp and down the hair shaft to the your ends. If your hair is extremely oily or if you have a lot of product build up, it may be necessary to repeat this step. If you shampoo your hair daily or every other day, repeat once, or as many times as it takes until your hair and scalp feel very clean. The best rule of thumb for conditioner is to apply to your hair ends and then work your way up. Add amount of conditioner needed, if you have long hair, you’ll need more. Gently distribute on your ends and then let the conditioner work on your hair for a couple of minutes. It’s best for your hair and skin to keep your water temperature to cooler temperatures. Start rinsing your hair, and if you can stand it, for the last 10 seconds we recommend going cool to cold. If you follow these easy hair washing tips, you’re scalp will feel cleaner, your shampoo will last longer and your hair will look and feel healthier. And don’t forget to come to Hair Cuttery for regular trims to control split ends and maintain your hairstyle. Plus, our stylists can recommend the best shampoo, conditioner and styling products that will work best for your hair type and needs.